Rob writes: I have been a counsellor, groupworker, psychotherapist, educator, team developer, life coach and trainer to a wide range of client individuals and groups. While I seek to fit my broadly-based companionable approach to each client's needs and interests, my central commitment is to assist each individual in encompassing, deepening, enriching and realising the full range of human experience and creativity in mutually enhancing relationships. In my work and life, I emphasise playfulness, respect, enjoyment, self-responsibility, truthfulness, healing and love as individuals deepen their mutual connections. I aim to assist clients to live so as to honour and value relationships and communication as well as their own dignity and potential. 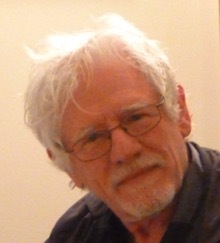 Trained in a variety of theories and techniques, Rob has studied and applied psychodrama since 1975. Now in full-time private practice, he has worked privately and for various organisations since 1973. He is a Psychodramatist, Trainer, Educator and Practitioner, certificated by AANZPA, Inc. The psychodrama approach follows basic life principles which enable the integration of many methods. For many years he was Director of what is now the Adelaide Campus of Psychodrama Australia . He is now a staff trainer and supervisor in Adelaide, Canberra and Melbourne. He is now a Director and Staff Member of Psychodrama Australia the AANZPA accredited training organisation. Rob is a Distinguished Member of AANZPA, and was Secretary of AANZPA's Board of Examiners. He also worked for years as a sessional lecturer at ACU campus in Melbourne, teaching communication and counselling, small group processes and group psychotherapy using an experiential methodology. Rob is registered with PACFA, the Psychotherapy and Counselling Federation of Australia, Inc.
as a Psychotherapist and Counsellor, Number 21204.